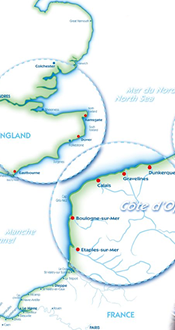 The Calais marina is visited by all yachts that cross the Channel, and don’t want to undertake long passages. 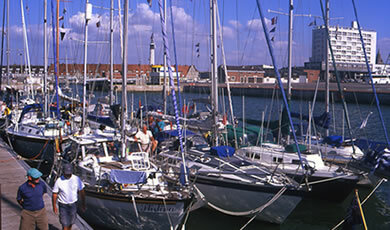 With a harbour conveniently located a stone’s throw away from the main tourist attractions, such as the Burghers of Calais and the brand new International Lacemaking and Fashion Centre (Cité internationale de la Dentelle et de la Mode), Calais is an ideal destination for shopping, eating and sightseeing. 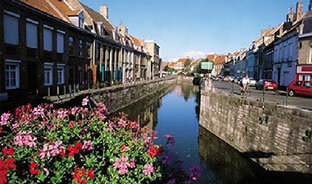 Width of locks: 17 metres maximum (threshold – 2 metres). Amenity block providing free showers and toilets 24h during the high season and by day out of season. 2 public telephones (coin and card). Bar with snacks available (sandwiches).